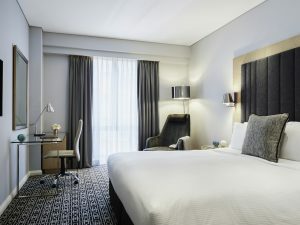 The Trauma 2019 Secretariat has arranged discounted accommodation rates at the Sofitel Sydney Wentworth for conference delegates. 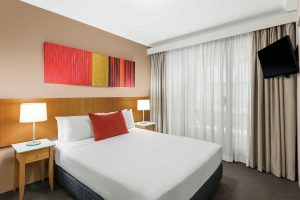 Accommodation can be booked through the online registration system from Friday 1 March 2019. Please note that full prepayment will be required for all accommodation bookings by Friday 30 August 2019. 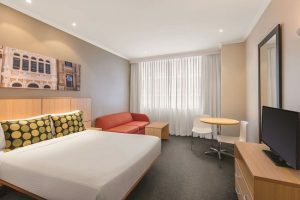 Accommodation bookings will be available online until Friday 30 August 2019. Please note the accommodation terms and conditions at the bottom of this page. The rates above are room only and not inclusive of breakfast. Please contact the Trauma 2019 Secretariat to discuss bookings that have three or more guests per room and/or require additional bedding. All changes and cancellations must be provided in writing to the Trauma 2019 Secretariat by Friday 30 August 2019. Guests may be charged for all or part of the booking if cancellation is received within after this date.